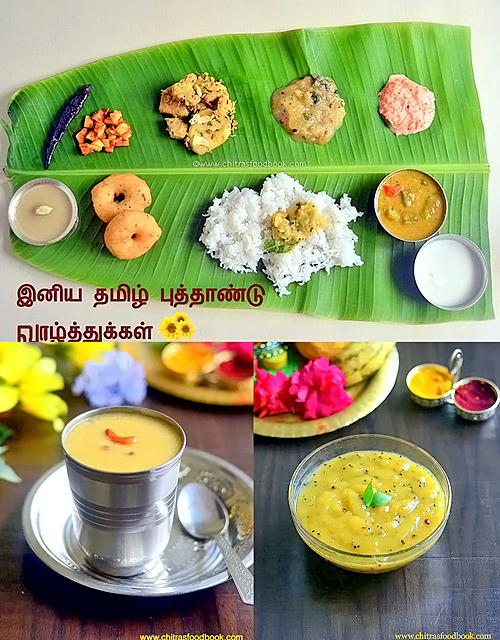 Black rice idli, dosa and sweet paniyaram was my recent try using black rice/ Karuppu arisi (Kavuni arisi). Black rice / Karuppu arisi popularly known as kavuni arisi is a rice variety with amazing health benefits. 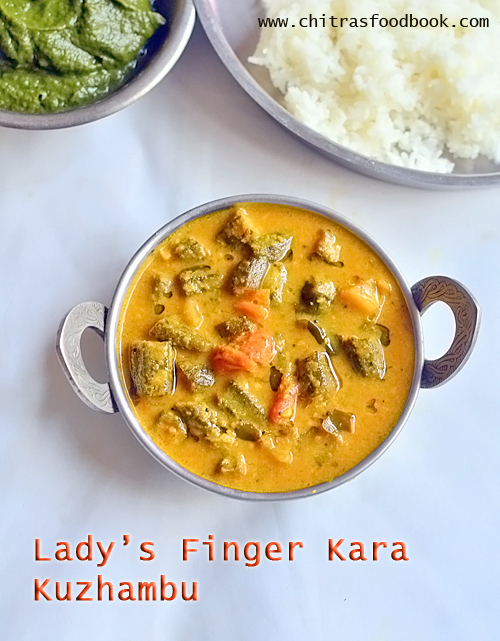 Recently I shared Chettinad special Kavuni arisi sweet recipe. 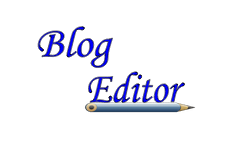 When I shared that recipe, some of my readers asked me to share more black rice recipes. So I made black rice sweet paniyaram and idli, dosa. Both came out well in the first attempt. 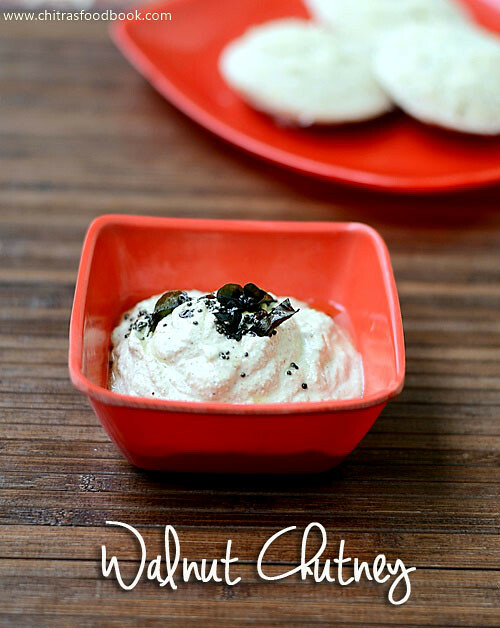 I thought of starting with this soft and spongy black rice idli, dosa recipe. 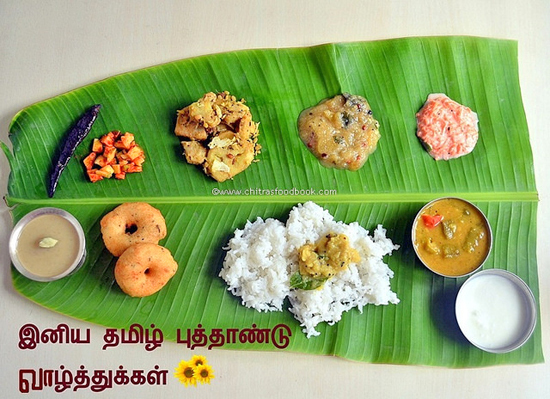 Next week I will post the paniyaram recipe. 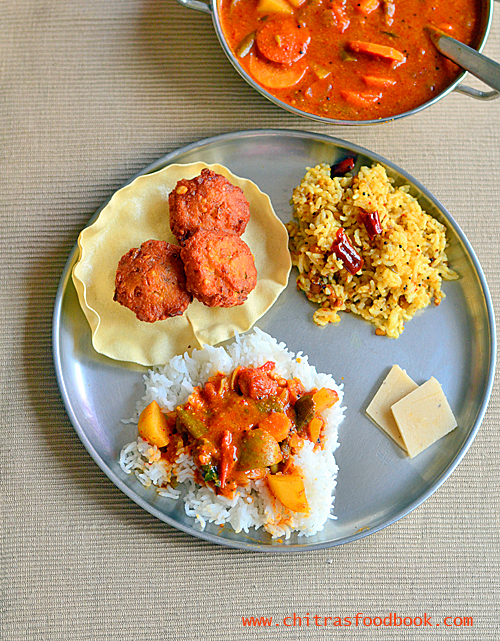 Here I have used idli rice and black rice in equal quantities. 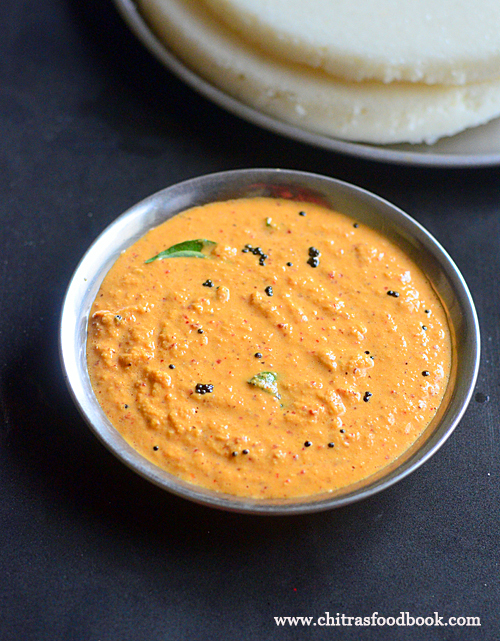 The quantity of rice and urad dal is important to get a soft and spongy idli. 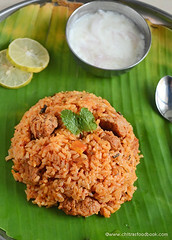 I have also used some poha / pressed rice for additional softness. Friends do try this healthy black rice idli / karuppu arisi idli and dosa. You will love it. 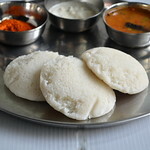 Check out my 15+ idli varieties ! 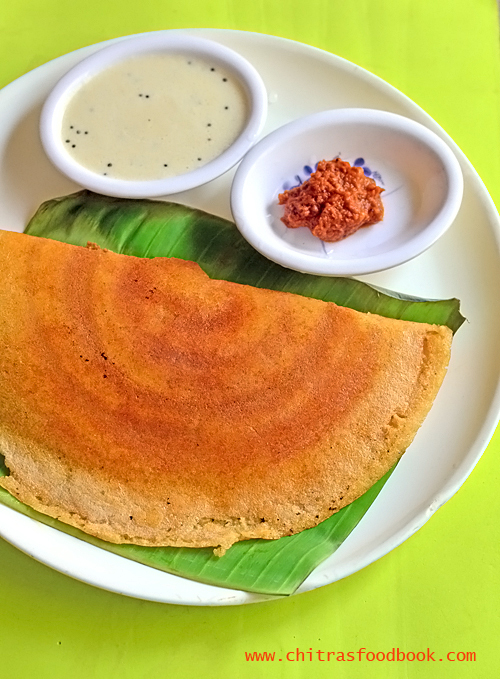 Black rice idli dosa recipe / Karuppu arisi idli dosa using black rice, idli rice, urad dal, pressed rice and fenugreek seeds. Wash and soak idli rice, black rice, urad dal, methi seeds and poha for 6 hours. Black rice takes longer time to soak. Grind everything to a smooth paste adding required water and salt. 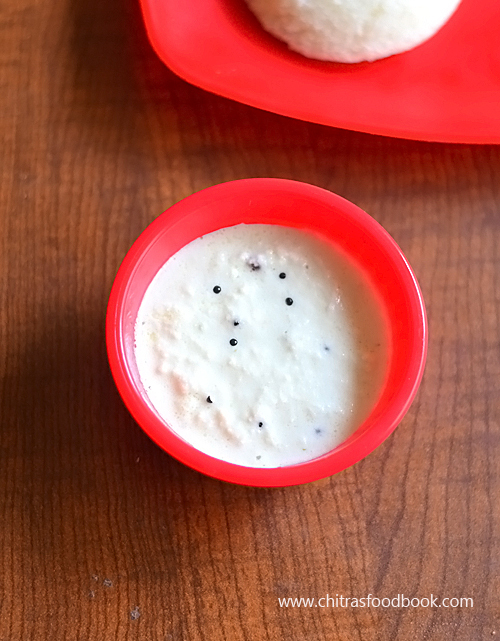 Transfer the idli batter to a vessel. Mix the batter with hands. Cover and ferment over night. The next morning mix the batter well. Steam in idli pot till done. 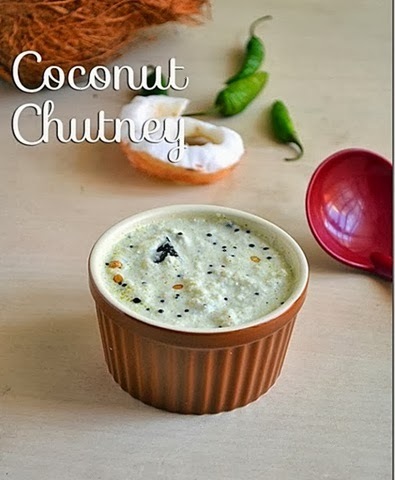 Remove and enjoy with chutney, sambar ! Wash the black rice thrice in a wide bowl. Add idli rice, urad dal, methi seeds and poha. Wash everything together for once or twice. Soak it for 6 hours minimum because black rice takes longer time to soak. Grind everything to a smooth paste in a mixie or grinder. Use ice cold water for grinding if you use mixie. 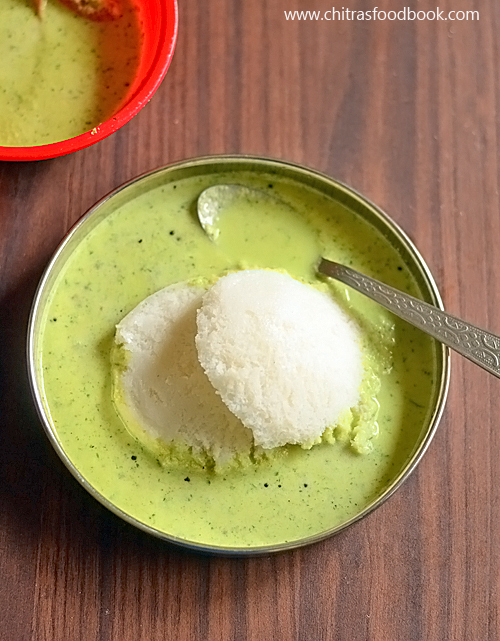 While grinding you can add salt if you like OR add it the next day before making idli. After grinding the batter, transfer to a big vessel. Mix it with hands to aid fermentation. Cover the vessel and leave the batter overnight or 8 hours minimum to ferment. 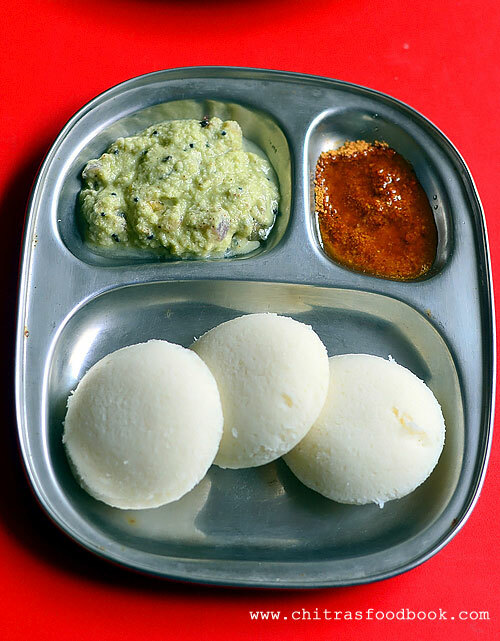 Consistency of batter should be like regular idli batter. The next day, batter would have raised well. 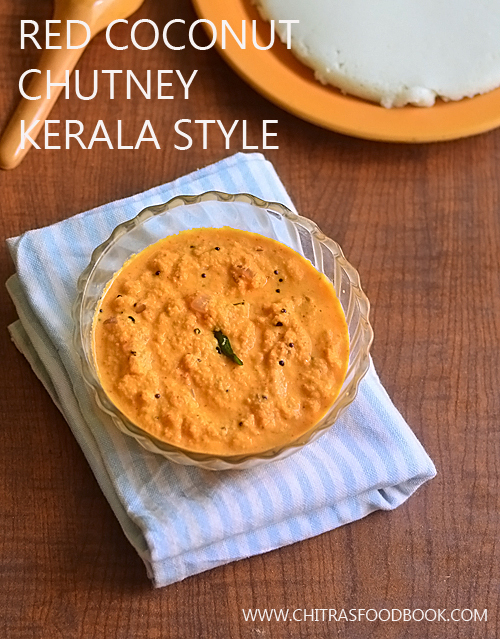 Mix it well and pour the batter in a greased idli plate. Boil water in idli pot. 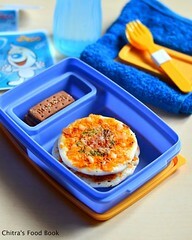 Place the idli plate and steam it for 10 to 15 minutes in high flame till idli is cooked well. Cracks may form on top of idli. But it will be soft. 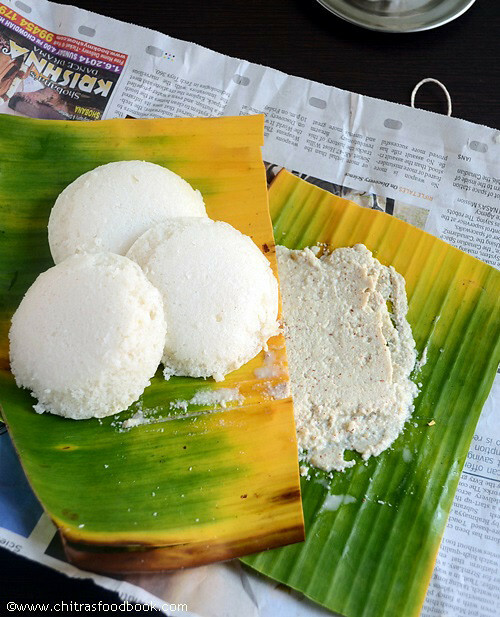 Remove the idli plate and rest it for 5 minutes before removing the idli. 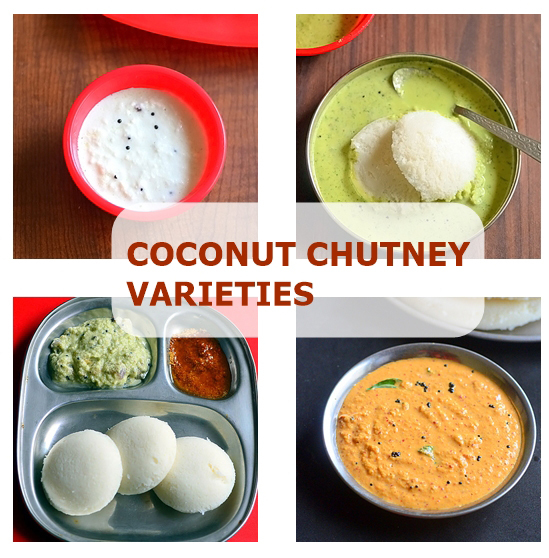 Take the idli and serve hot with chutney or sambar. 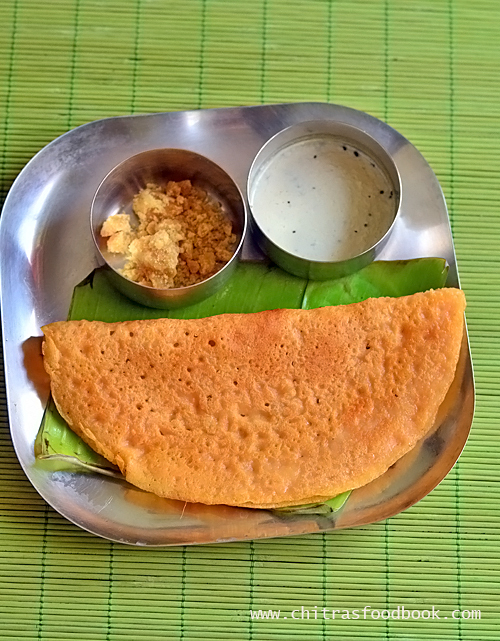 I made dosa the next day. 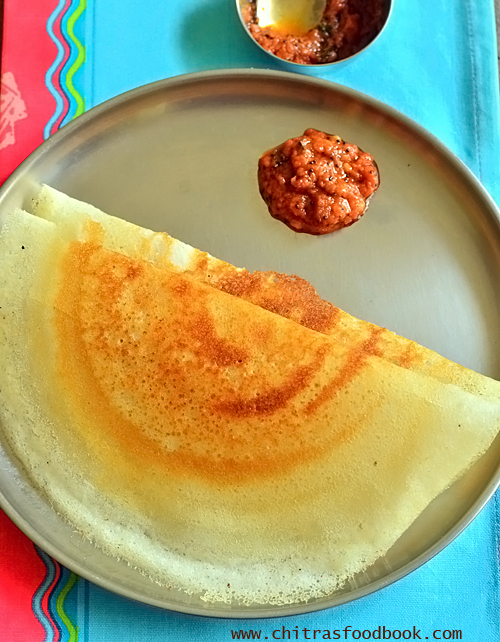 For making dosa, add little water to the batter if needed. 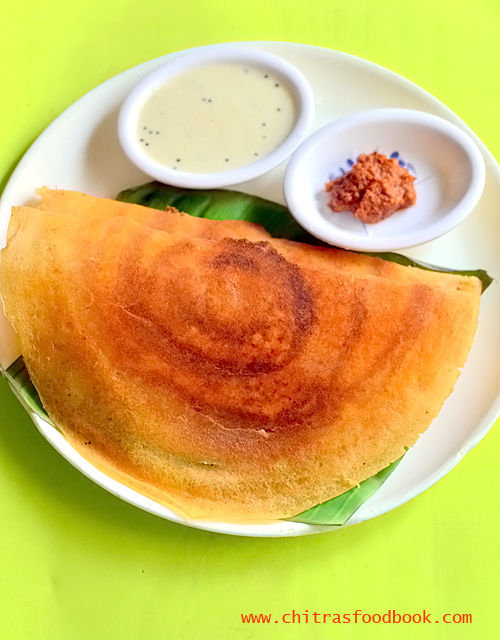 Heat dosa pan, pour a ladleful of batter and spread it. You can make it thin or thick as you like. Flip and cook both the sides. Remove and serve hot ! For variations, you can soak and grind black rice, idli rice, methi seeds together. 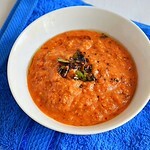 Soak urad dal separately and grind it first. Mix both the batter and ferment it. In that case, skip poha. Color of idli may vary based on the color of black rice. Some rice looks reddish. This batter stays good for 3 days in refrigerator but it turns sour the next day. 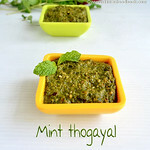 You can make dosa with it. 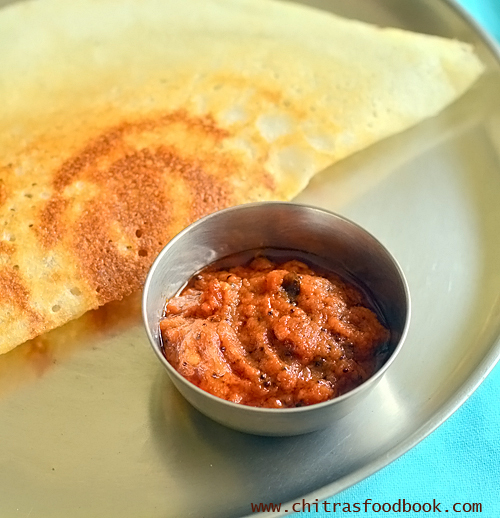 Healthy black rice idli dosa is ready to enjoy with chutney and sambar ! 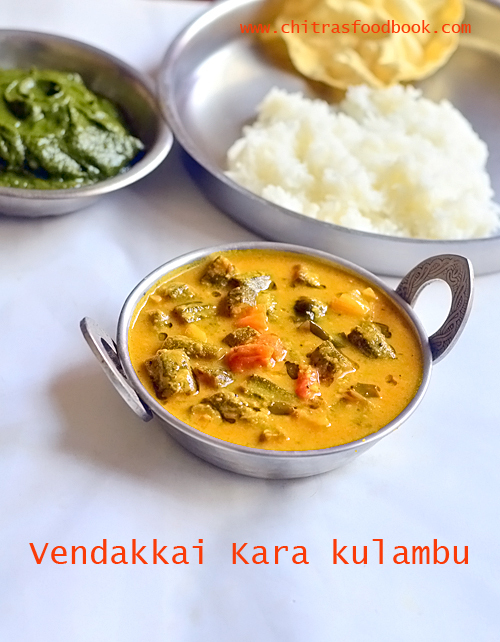 Check out my mom's Tirunelveli style and MIL's Thanjavur style sambar powder recipes too. 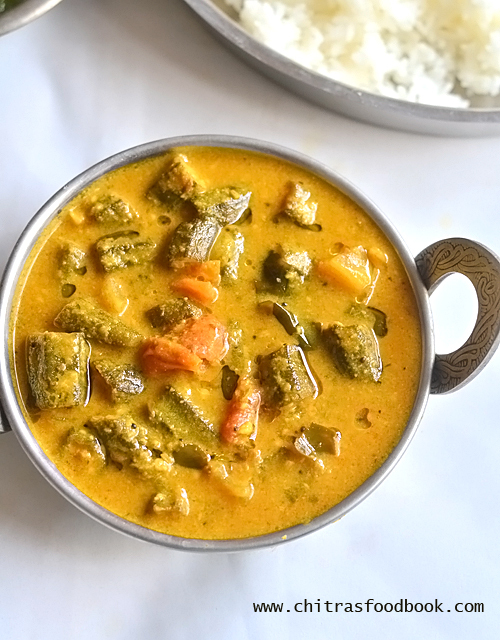 Tamilnadu brahmin style sambar powder recipe for making lunch sambar. 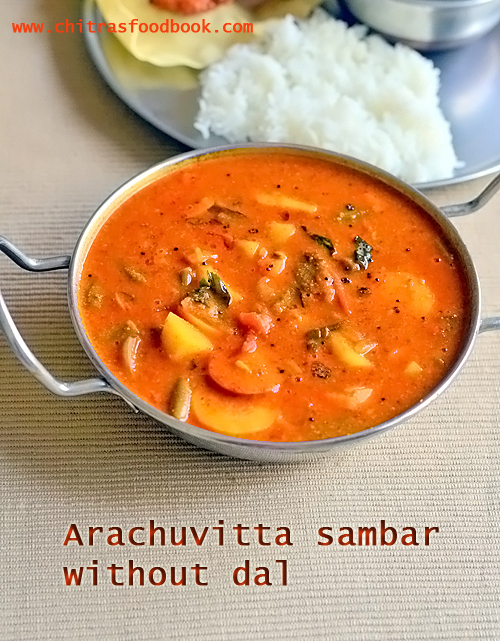 Take all the ingredients mentioned for sambar powder. 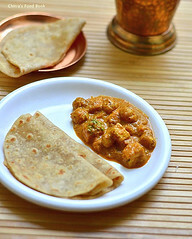 Spread in a wide plate and dry them under the sun for 3 to 4 hours. Instead you can dry roast all the ingredients one by one for few minutes without burning them. Let it cool. Grind in a rice flour mill to a smooth powder. 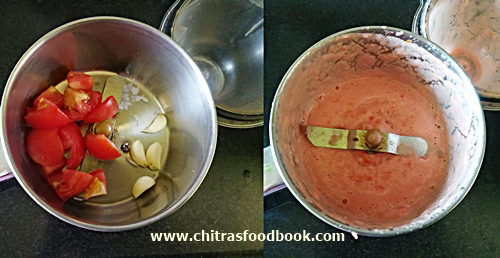 After grinding spread the sambar powder in a clean sheet. Let it cool down. Then transfer to an air tight box. Take the quantity required for 15 days and store in a box separately. Use clean spoon to handle and store for months. Enjoy ! 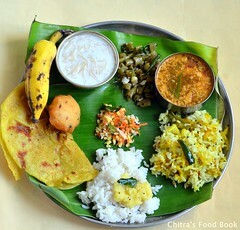 Measure and take all the ingredients given above in a wide plate. Sun dry them for 3 to 4 hours. Instead of drying under the sun, you can dry roast all the ingredients one by one in a kadai just to heat them slightly. Do not burn any ingredient. It is done to remove the moisture content. Transfer to a plate and let it cool down. Grind in a rice flour mill to a smooth powder. 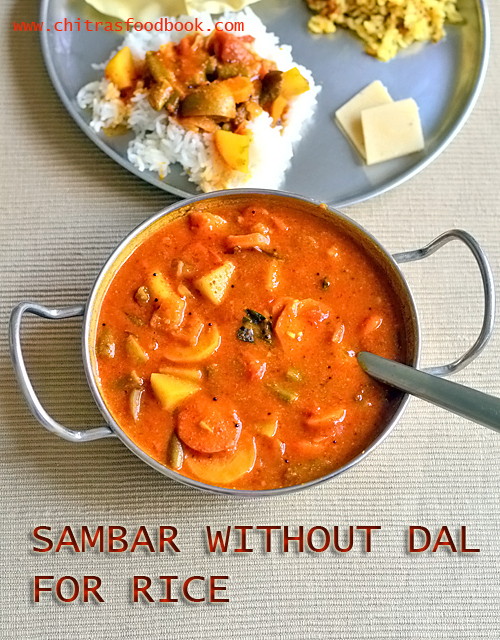 Spread the sambar powder in a clean sheet and let it cool down. Then transfer to a big air tight container. Take the quantity required for 10 to 15 days and store in another small box. Use a clean spoon to handle this powder. It stays good for months. Mami told they keep this powder up to 3 to 4 months. 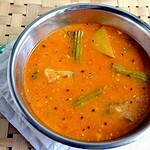 For making sambar, you can use 1 to 2 tsp depending on the need. Soon I will post a detailed post about it. 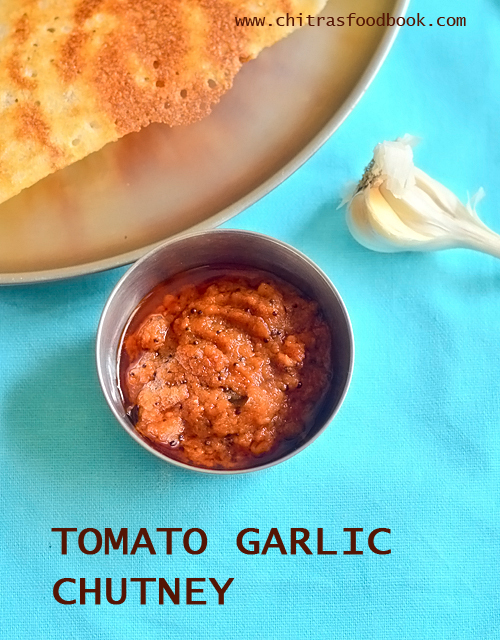 You should either sun dry the ingredients or dry roast in a kadai without burning the ingredients. 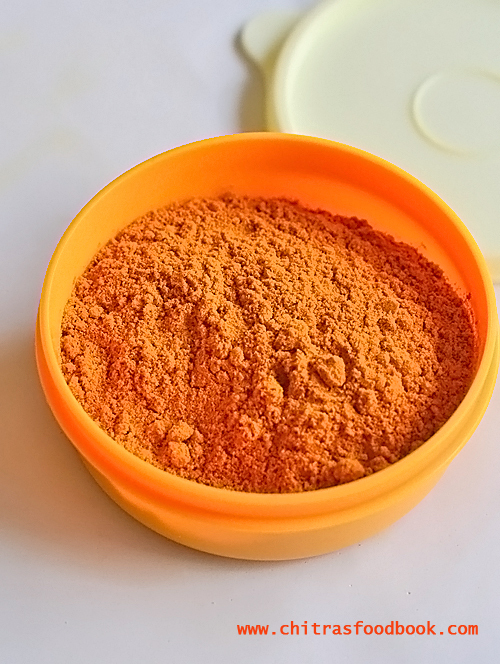 Its always better to store the sambar powder in two containers. Bulk quantity in one and smaller portion of it in another container. 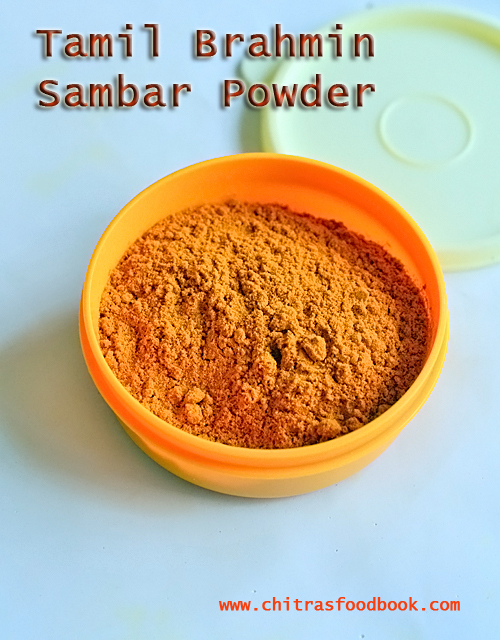 This helps to retain the flavor of sambar powder for long time. 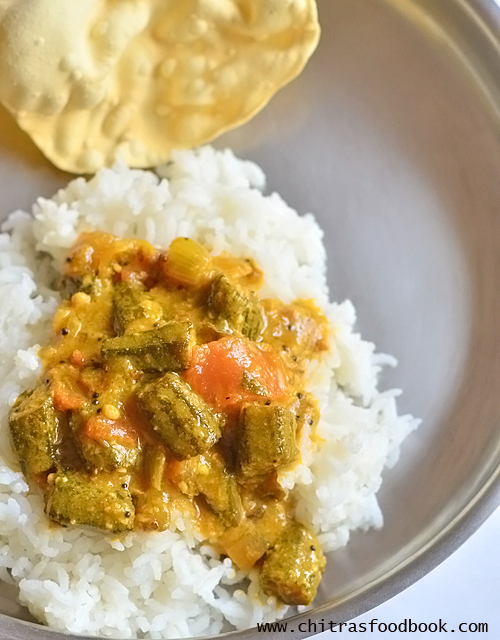 Try this Tamil brahmin sambar powder recipe and use it for months !